If you do not already know my opinion of the pain scale, please refer to my blog title. That said, pain needs to be treated. I've been in very severe pain before and I know it is terrible and not fun and makes everything hard to deal with. My wife has a relative who suffers from severe chronic pain, and it has taken huge chunks out of the quality of her life. But how do you treat it when it is so hard to quantify? How can I take the 1 to 10 scale seriously when person a skips into the ER talking on his cell phone and drinking a Pepsi, all while complaining of 10 out of 10 pain, and person B is throwing up while blood gushes from a gaping wound and they are screaming in pain, only to tell me that it is at least a 5 out of 10? And then you have the kids. We use the FLACC scale to try to determine pain in preschool children and the Wong-Baker faces scale in older children. Neither of these works any better. Seriously. I don't think I'm exaggerating to say that 90 percent of the kids that I show the faces scale to point to either the 0 (because it is smiling) or the 10 (because it is crying), and I used to work in a pediatric office, so I've done this thousands of times. FLACC has a place, but almost every kid that comes into the ER gets a 5 on the FLACC scale off the bat because it is a scary, uncomfortable place with lots of strange people walking in and out and trying to put stethoscopes all over the place on them. I don't know the solution to this problem. I just try to do my best with every patient who comes in for some pain-related issue (85 percent of our patients). The only really useful thing that the pain scale does from what I can see is it helps to compare a patient to what they were an hour ago, but even then, I've had more times than I can count where I walk back in the room after having given a couple of dilaudid and the patient tells me, "oh I feel so much better now. Really a world of difference. Let's see, my pain was a 7 before; now it is probably a 6 or a 6.5." So now I have to chart that the pain went down one point. I'm just waiting for my day in court when the lawyer asks me why I didn't give the repeat dose of pain meds when their pain was still a 6. Anyway, on to the point for which I was headed when I started this post: I've been sitting on a post from Ten out of Ten for a couple of months that I found interesting regarding a test to determine the severity of a patient's pain. A little whimsical, but it is a good reminder to pay attention to more than just what a patient says. (In fact, one of my favorite things to chart: stated pain out of proportion to physical presentation.) Then a few days ago, Scalpel posted about the Delta P. I was ready for an intelligent discussion of a new airline product, but was disappointed to just get a post about pain management, but at least it was an interesting post about pain management. The idea of his post is that if someone who normally has 6/10 pain presents with 10/10 pain, then they are not as urgent than someone who normally has 0/10 pain and comes in with 5/10 pain. Of course, this all hinges on their stated pain levels accurately reflecting what kind of pain they are in. I don't think either approach would stand up in court (but your honor, she winced with the BP cuff and her Delta P was only 2), but they are useful in our individual assessments of how a patient is really doing, and may come in handy when we are trying to prioritize between three or four needy patients. How do you deal with the broken pain scale system? [Looking carefully around for Francophobes...] Je plaisante! Just joshing! You wrote: "In fact, one of my favorite things to chart: stated pain out of proportion to physical presentation." An excellent thing to chart, really. I have a passing acquaintance with CRPS, and your observation -- if emptied of it sardonic intent -- might well prove diagnostic for someone with CRPS, but as yet undiagnosed. Scalpel today has a brilliant post about the CRAPS (Canadian Relativity Adjusted Pain Score) that is a wonderful addition to this discussion and should be implemented immediately in all ERs across the country. I despise our pain documentation. Get this--a 1-5 pain scale. This for rehabbing post-op joint replacements and ORIFs. It's insane, and totally out of my control. Fortunately, we immediately get pre-therapy orders, RTC orders, and my nurses work the stupid scale pretty well. I just wish they (meaning our management consultants) would change the damn thing. What I would give for a 1-10, LOL! 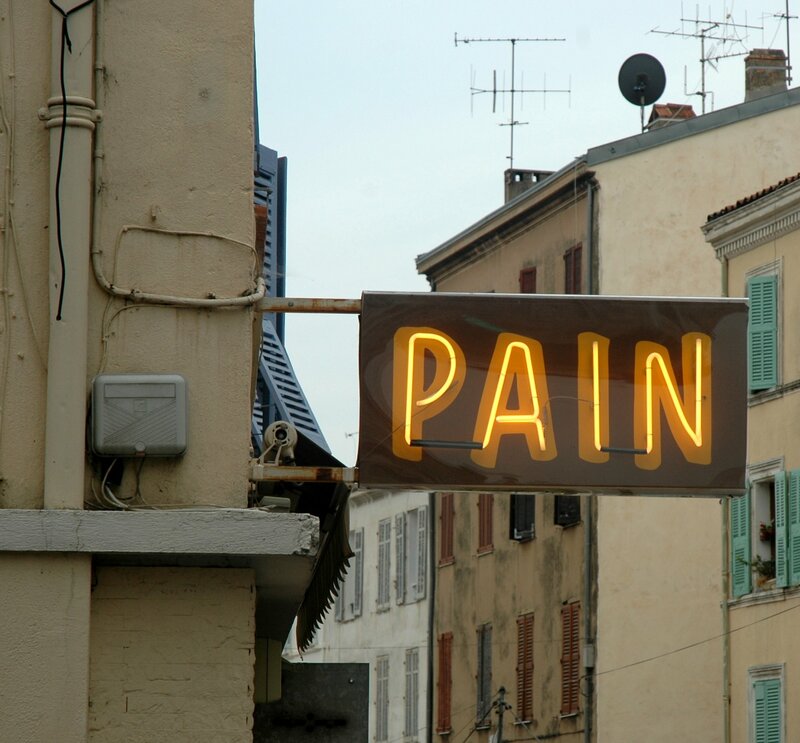 "Pt states pain 5/5. Pt talking on phone, smiling, in no apparent distress, not using any breathing techniques during contractions." "Pt states pain 3/5. Pt thrashing side to side on the bed, moaning, crying during contractions. Encouraged use of slow breathing techniques." What about real measurements of elevated heart rate and such? I think if you can talk conversationally-comfortably, you are not in serious pain. Screaming labor, childbirth, is 10. A urinary tract infection is an 8. What I am experiencing now is a ___. That usually puts things in perspective for the treating physician. Oh, and, my apologies. I have two children with severe sensory integration dysfunction. My youngest one was frankly autistic at three. He refused pain medication after a hernia repair. He could stand in ice cold water that had a crust of ice on it and not move a muscle. He didn't have that reflex that caused you to draw your hand back if you touch something way-hot. He struggled vigorously when he was severely dehydrated from a virus. The pediatrician took his blood pressure and promptly admitted him for IV fluids. Contrast him with my older child. He freaks out at the least boo-boo and he would honestly tell you that a teensy beensy cut is a 10/10. Women having heart attacks may complain of symptoms that resemble indigestion. The pain scale has limited utility, IMHO. Wow, now I know what reading and experimenting with sadomasochism did for me. It taught me my pain scale. When I went to the ER, I was able to plainly say, "Contractions spike to a 7 or 8 with a baseline of 4 since yesterday." I don't have any real suggestions, although some help with the patient making comparisons (in adults) could work. If they contrast what is happening now to what happened before, the delta may give you some idea of how they are interpreting. Likewise, if they're in too much pain to notice you sticking them with a needle (or better, wrapping one of those rubber tubes around their arm before you stick them with the needle) that seems like more info than a random number. I will only mention in passing the dozens of anecdotal stories of egocentric or drug-seeking ER behavior that I have heard. As simply an average person I think I understand the problem to at least some degree. We haven't experienced enough serious pain to have any real reference. Women who have given birth naturally (no pain meds) and who have had kidney stones, usually say they are about the same pain (per my ER doctor when I had kidney stones). 4th note: Pt loudly cursing to security after officer notes to pt the 'NO FOOD or DRINK in this area' sign. I hit the web looking for info to educate my rhuemy on the pain scale and your blog popped up. I hate the pain scale, no really, HATE the pain scale. I have Lupus, RA, Polyarthritis, and a host of other issues. As a patient I view the scale not only as demeaning of a serious illness but a joke when i see 'susie the drug seeker' sitting next to me in a chair chatting it up with her boyfriend who is OBVIOUSLY pressuring her to HURRY HOME to feed HIS addiction. Or how about 'decrepid dora' who can't remember what a scale is but knows she hurts. She's 89 years old and has a "few aches". Good lord. I give her more graces however, she's earned it. Or how about a NURSE who you know from another office who is acting like a a15 year old bitching about how long she has had to wait and how her "own doctor" (THERE's your CLUE) would never make her wait THIS long. I sign a contract with the understanding my doctor will test me at any time without notice. No not peeing in a cup either. BLOOD test. It shows more. He has yet to do one. Can we all say WHY... because I do not exaggerate my pain. I dont' go in bawling my eyes out or screaming becasue it hurts so much. I let my blood work and my body do the talking. When he asks me to scale, he does it with a grin and a smirk as he knows how I feel about it. BUT, he needs it for the insurance company. I once told him... lets see, let me grab your gonads and squeeze. When it hurts, i'm going to squeeze a bit more. When it really hurts you, that's a ten. he just laughed and said , Nice to meet you. I am sick and tired of people abusing drugs making it very difficult for those who need them to get theirs. I personally don't have this issue but I see others who do. I have an emergency "cocktail" at any time I need it at the ER. I've used it twice in 5 years. Yes, when I walk through the doors (oh & my hubs works for the hospital so they know us well) they don't question perse'. They simply say, "you hanging in there? We'll get your iv in in 5". They give me my meds, I wait three hours and go home. Yeah charting pisses me off royally (sp)! I wish someone would tell me if it actually serves any purpose when we have so many actors coming through the ER doors. Need Help Paying for Those Meds? So that's how you are reading my blog. How Are You Reading My Blog?